From the beginning of this century, Cafe Rico's only objective has been to produce Puerto Rico's best and purest coffee. The company's roots were conceived through strong relationships with Puerto Rico's coffee growers. For almost one century, coffee history, can be traced using Cafe Rico's history. Cafe Rico was the leading coffee company during the first part of the century. At this time, coffee exportation was a major factor on the island's economy. Cafe Rico's coffee is recognized worldwide as Puerto Rico's best coffee. San Carlos Selection used to be the Vatican's favorite coffee. Cafe Rico Coffee Whole Beans 5 pounds. 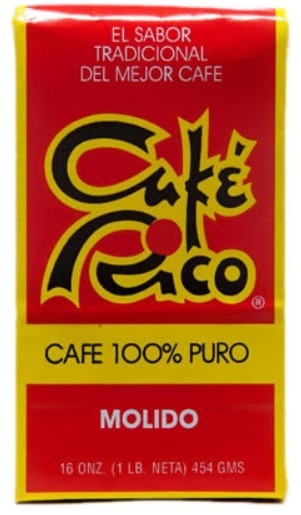 Cafe Rico Coffee Canned in Regular and Expresso blend. And Cafe Rico Coffee Instant Coffee.